Flower Mound homeowners and commercial property owners can rely on the experts at Cote’s Mechanical for repairs, installations, and more. We have technicians on hand who have expert knowledge and experience in handling a wide range of heating and cooling services. From central A/C repairs to electric furnace installations, we have you covered. When you rely on Cote’s Mechanical for HVAC service, your Flower Mound home or business will have a comfortable interior at all times. 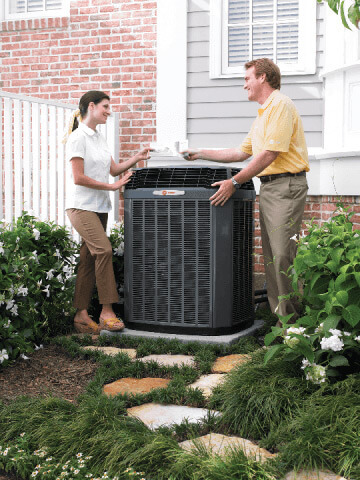 At Cote’s Mechanical, we provide the best A/C and heating services in Flower Mound. Our HVAC experts offer timely service, whether you need a new heating and cooling system set up or your current one repaired. We’ll make sure you stay within your budget as well thanks to our competitive pricing and free service calls with repair services. We look forward to helping your residential or commercial property stay cool or warm as needed throughout the year. When it comes to high-quality A/C and heating unit installation and repair in Flower Mound, Cote’s Mechanical is the place to call. Our HVAC professionals all have the proper licensing and the skills required to do each job right the first time. When your home or business needs brand new HVAC equipment or emergency repairs, don’t hesitate to get in touch with us. You’ll have experienced technicians by your side quickly to provide you with the HVAC service you need. Cote’s Mechanical also offers other HVAC services, including maintenance and replacements. Routine maintenance ensures that your system can operate at optimal efficiency, while replacements ensure that you have updated equipment that’s in the best shape. We also offer attic ventilation and insulation services for residential and commercial customers in Flower Mound. Providing residential and commercial customers with dependable repair, installation, maintenance, and other services is just part of our commitment to great customer service. At Cote’s Mechanical in Flower Mound, our technicians are also known for being polite, friendly, and courteous to all of our customers. Since our start in 2001, co-owners Cote and Kristi Wyatt have placed an emphasis on ensuring that customers are satisfied with our services. Over the years, this dedication has been recognized by professional organizations and customers alike. We’re proud to have an A+ rating from the BBB, as well as accreditation from the Air Conditioning Contractors of America (ACCA). Angie’s List has also acknowledged our exceptional customer care with a Super Service Award, and we have received certification as a Trane Comfort Specialist, which illustrates our commitment to achieving high standards of service. We have received a lot of positive feedback from our customers through online reviews. These customer reviews mention a number of notable qualities, such as technicians showing up on time or even early and repairs being done fast. Quite a few of our customers end up recommending our services to people they know. The average household income for Flower Mound is $123,492, which is significantly higher than the national average of $55,322 and the average of $54,727 in Texas. This higher income makes up for the higher cost of buying a home, which is $292,600. Around 68,000 people have made Flower Mound their home. Residents in this Denton County city are close to Denton, which is about a 35-minute drive away via FM1830. Driving to Dallas takes just over an hour via TX-114 E, while driving to Fort Worth takes about an hour via TX-121 S.
Residents have many amenities and attractions to keep them busy in Flower Mound. Golfers can play on a scenic course that includes Timber Creek at Bridlewood Golf Club. Residents can beat the heat at the Splash Pad at Heritage Park, let their pets play at Hound Mound Dog Park, or go fishing at Leonard Johns Park. Flower Mound also has a number of dining options, including Red Hot and Blue, a blues-themed restaurant serving barbecue. Flower Mound has several volunteer opportunities for residents who want to get involved with their local community and meet their neighbors. Some of the organizations and departments that need volunteers include Animal Services, Parks and Recreation, Public Library, and Citizen Patrol. At Cote’s Mechanical, we offer heating and cooling repair services at all hours for both residential and commercial properties in the Flower Mound area. If you need repairs, installations, or other HVAC services, don’t hesitate to contact us today. Our technicians will come out to your Flower Mound home or business and provide prompt service. On time, fixed the issue, AC up and rolling on this hot July day!!! Fast, Quick, and Awesome service! Houston the technician was pretty sharp and gave us an honest assessment of our problem. We were expecting am extensive fix but he said all we needed was a half pound of Freon which was not bad at all. He also showed us how to clean the outside units. He also have us great technical knowledge on how to evaluate different AC brands. Overall it was an excellent professional service. Fast response, great tech- Houston. Houston found the problem fast and quited me a price to fix it. I was impressed. Our technician was able to find the problem quickly and fix it immediately. Great customer service and knowledgeable technician. Replaced 60mfd dual run capacitor and system is cooling properly. System is cooling properly. Cleaned up condenser coil and cooling properly. Replaced 40mfd capacitor for blower motor on Lennox unit Ac system is cooling properly. Added one lbs of r22 Freon and leak seal. Cooling properly. Replaced 55mfd dual run capacitor and system is cooling properly. Replaced 50/5mfd dual run capacitor on 1997 trane unit. Air conditioner is cooling properly. Added leak seal and 1.5 lbs of r22 Freon to 1997 trane unit. Repaired leak in condenser coil. Recharged system and pulled vac. System is cooling properly. Replaced 40mfd capacitor and cooling properly. 95 green a/c unit.